A great solution for PoE devices and non-poe device(extra poe splitter will be required), the injector can be used to power PoE devices(built-in poe function or module) such as IP Phone, IP cameras or Wireless Access Points etc. The device has a compact size design makes it easy to install the adapter into areas where space is limited, no configuration required. 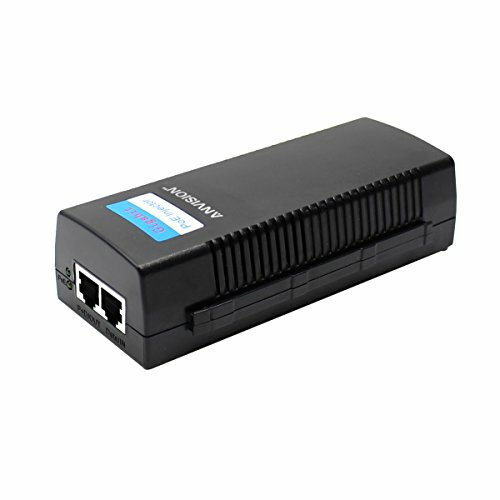 A great solution for PoE devices and non-poe device (extra poe splitter will be required), the injector adapter can be used to power PoE devices(built-in poe function or module) such as IP Phone, IP cameras or Wireless Access Points etc. The device has a compact size makes it easy to install the adapter into areas where space is limited, no configuration required. Input: AC100-240V 50/60Hz; Output: Data & Power (output voltage: 48V, output current: 0.8A) make it suitable for high-power devices like 802.3at device, PTZ camera, big wireless AP etc. The actual power arrived to device via RJ45 cable depends on transmission distance and RJ45 cable quality (recommend CAT6 cable), we make sure the ouput power is up to 38W.